Rescheduled from Fall semester, 2018 Common Reading Program author Moisés Kaufman is the founder and artistic director of Tectonic Theater Project, a Tony- and Emmy-nominated director and playwright, and a 2015 recipient of the National Medal of Arts. Mr. Kaufman’s Broadway directing credits include the revival of The Heiress with Jessica Chastain; 33 Variations (which he also wrote), starring Jane Fonda (five Tony nominations); Rajiv Joseph’s Pulitzer Prize finalist Bengal Tiger at the Baghdad Zoo with Robin Williams; and Doug Wright’s Pulitzer- and Tony Award-winning play I Am My Own Wife with Jefferson Mays. His play The Laramie Project, which he wrote with the Tectonic Theater Project company, is among the most performed plays in America. 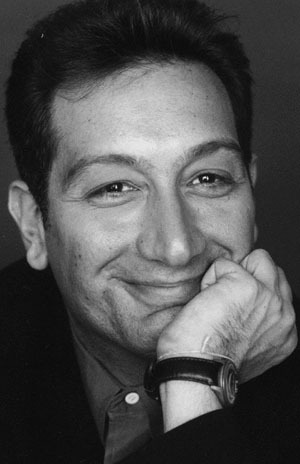 Kaufman also co-wrote and directed the HBO film adaptation of The Laramie Project, which received two Emmy Award nominations for Best Director and Best Writer. He is an Obie winner and a Guggenheim Fellow in Playwriting.